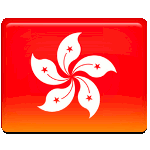 Hong Kong became the territory of Britain after the end of the First Opium War in 1839-1842. China and Great Britain signed the Treaty of Nanking in 1842, that ceded Hong Kong to the British Queen in perpetuity. This provided British with the harbors, where they could unload their goods, enabling expansion of their trade. On July 1, 1997 Hong Kong was transferred back to China from the United Kingdom. This event marked the end of the British rule and the establishment of Hong Kong Special Administrative Region. This day is usually marked with an extravagant firework show in the night. This day is also a platform for political rallies and protest marches. Every year since 1997 the Civil Human Rights Front organizes protest marches, demanding universal suffrage, observance and preservation of civil liberties.